The U.S. has already imposed a 30 percent tariff on all imported solar panels and modules under an order signed in January by President Trump. Strongly contested by a broadly bipartisan coalition of solar advocates, iconic corporations and respected think tanks, this tariff unquestionably will chill solar deployment nationwide. A number of Georgia solar industry professionals and public officials traveled to Washington in 2017 to warn trade regulators and our congressional delegation about the harmful effect solar tariffs would have on our growing solar industry. While the tariffs to be imposed are not as steep or damaging as they might have been, we are braced for the impact the 30 percent tariff will trigger. Since the solar industry has had almost a year to anticipate the tariffs, many suppliers have been stockpiling panels that can be sold at pre-tariff prices. Plus, the tariff order will allow 2.5 gigawatts of solar cells to enter the country tariff-free. That will help to soften the price impact of tariffs, especially in the first year when the tariffs are highest. The tariffs will only be imposed for four years at rates that decline 5% each year before phasing out in 2022. Greentech Media, a research firm that tracks renewable energy, says the greatest economic damage from the tariffs will occur in 2018 and 2019, with slow recovery thereafter. Residential installations will see the smallest price increase – about 5 percent – from increased panel prices. The cost of commercial installations is expected to increase about 10 percent. Some of the impact of this will be mitigated by the federal tax credit on solar installation, which will be available to homeowners and businesses until 2023. Utility scale developments – solar farms – will be the most negatively affected sector of the solar market. Greentech Media estimates demand in the utility scale market will fall by 11.6 percent between 2018 and 2022, compared to 9.9 percent in the residential market and 10.7 percent in the non-residential market. Nationally, the Solar Energy Industries Association projects 23,000 solar jobs will be lost as a result of the tariffs. In Georgia, we anticipate more than 1,000 solar jobs will vanish. The greatest loss will be felt in Georgia’s vulnerable rural economy, which has benefitted substantially in the past five years from utility scale solar projects. Regions of the state that had languished without economic investment for decades now host multimillion-dollar solar farms. The increase in property values from solar investments have generated tax dollars these communities now use to improve schools, roads, county services and law enforcement. That will help them attract even more investment. Sadly, some planned utility scale developments in rural Georgia won’t come to fruition now, because the cost assumptions in the plans have changed as a result of the tariffs. Other, unannounced deals will quietly fall apart. Greentech Media projects Georgia will lose more than 300 megawatts of utility scale solar investment – the fourth-largest loss in the nation – as a result of the tariffs. Remove existing barriers to solar installation: Last year, a group of policy stakeholders including the Georgia Solar Energy Association, Vote Solar and the Southern Environmental Law Center engaged in lengthy negotiations with Central Georgia EMC to rescind punitive and unfounded charges on the EMC’s solar customers. Other EMCs and municipal electric cooperatives around the state should follow this example and remove charges that deter their customers from solar adoption. Also, Georgia cities and counties should follow the lead of Athens, Decatur and the City of Atlanta in adopting streamlined permitting codes for solar installation. Establish a standard price for solar energy that reflects its true value: The Georgia Public Service Commission has heard testimony from national experts on the many invisible contributions solar energy makes to the state’s power infrastructure. These include, but are not limited to, reduced line loss, peak power demand reduction, improved public health and cleaner air. In some states, these “avoided capacity costs” have been factored into rates paid by utilities to solar customers who feed solar energy into the grid. These rates compensate solar customers more fairly and make their solar investment more economical. The Georgia PSC will conduct a Georgia Power rate case in 2019 and could make the necessary changes part of its decision. Devise local incentive packages for solar investment: Solar investment provides increased revenue to cities and counties through property taxes, while putting no increased demand on public services. Its infrastructure doesn’t generate traffic, increase school population or send waste to landfills and sewer treatment plants. This means any tax revenue from increased property value goes straight to the local government budget’s bottom line. Knowing this, counties should weigh the benefit of foregoing a portion of that revenue stream in the interest of making solar investments as cost-effective as possible. As misguided and damaging as we believe the coming solar tariffs are, we remain confident that the solar industry is here to stay and will continue to grow once the tariffs subside. We are proud of the strides we’ve made in Georgia with innovation, constantly improving technology and the promise of clean, cost-effective energy resources for the future. Don Moreland is the chair of the Georgia Solar Energy Association. 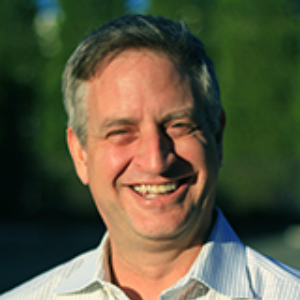 He is also the founder of Solar Crowdsource, a company that harnesses the savings of bulk purchasing and streamlined administrative costs to provide solar installation for homes and businesses. PHOTO ABOVE: Utility-scale projects are expected to be suffer the most severely impacts from President Trump’s import tariff. 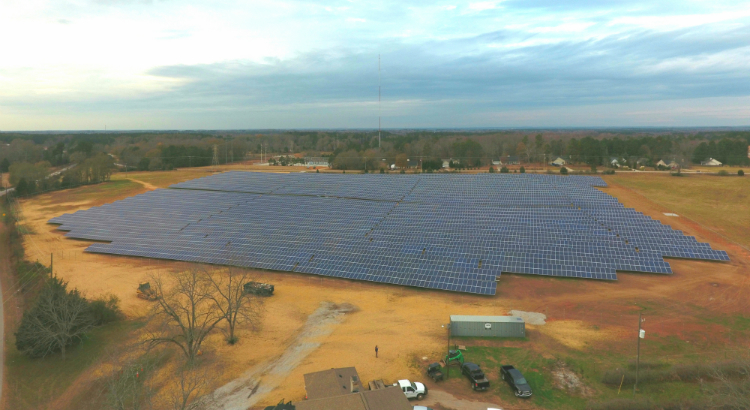 This 4-megawatt solar farm in Walton was built by Cantsink and Radiance Solar for Walton Electric Membership Corp. Photo courtesy of Cantsink.